LOS ANGELES (April 23, 2014) - Nine of the talented boxers who will fight on a top-notch, action-packed Golden Boys Promotions' fight card this Saturday, April 26, at the StubHub Center in Carson, Calif., participated in a Media Workout Wednesday at the Westside Boxing Gym. In Saturday's main event live on SHOWTIME® (9 p.m. ET/6 p.m. PT, following the premiere of ALL ACCESS: Mayweather vs. Maidana Episode 20, undefeated, hard-hitting Keith "One Time" Thurman (22-0, 20 KOs), of Clearwater, Fla., will defend his WBA Interim Welterweight Championship against former world champion Julio "The Kidd" Diaz (40-9-1, 29 KOs), of Coachella, Calif.
Former world champion Lucas "The Machine" Matthysse (34-3, 32 KOs), of Trelow, Arg., and John Molina (27-3, 22 KOs), of Covina, Calif., clash in an important collision of power-punching junior welterweights in a 10-round bout, and unbeaten WBC Lightweight Champion Omar "Panterita" Figueroa (22-0-1, 17 KOs), of Weslaco, Texas, risks his 135-pound belt against a nemesis from his amateur days, Jerry "The Corpus Christi Kid" Belmontes (19-3, 5 KOs), of Corpus Christi, Texas, on the SHOWTIME CHAMPIONSHIP BOXING telecast. The main event on SHO EXTREME® (7 p.m. ET/PT) will pit promising unbeaten junior welterweight Antonio "Relentless" Orozco (9-0, 15 KOs) of San Diego, Calif., against Mexico City's Martin "El Brochas" Honorio (32-8-1, 16 KOs). 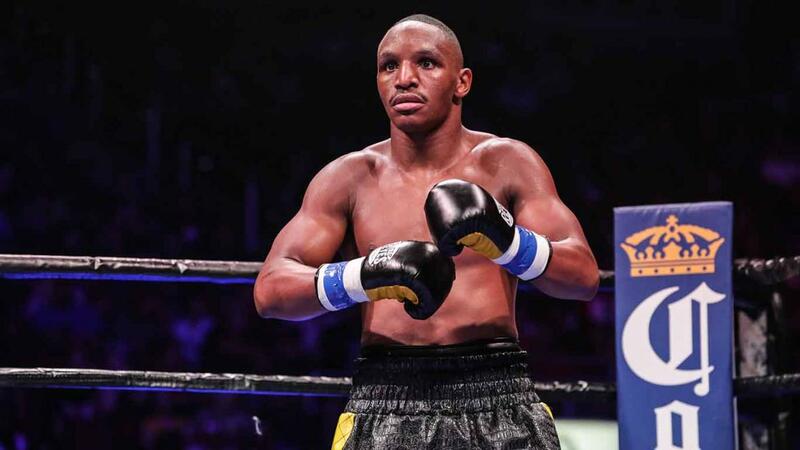 Other SHOWTIME Extreme scraps will include Jermall Charlo (17-0, 13 KOs) against Albuquerque's Hector Munoz (22-12-1, 14 KOs) in a 10-round junior middleweight match and time-permitting, 2012 Brazilian Olympian Yamaguchi Falcao (0-0), of Sao Paulo, against Carlos Badaldua (pro debut), of Tijuana, Mexico, in a 4/6-round middleweight fight. 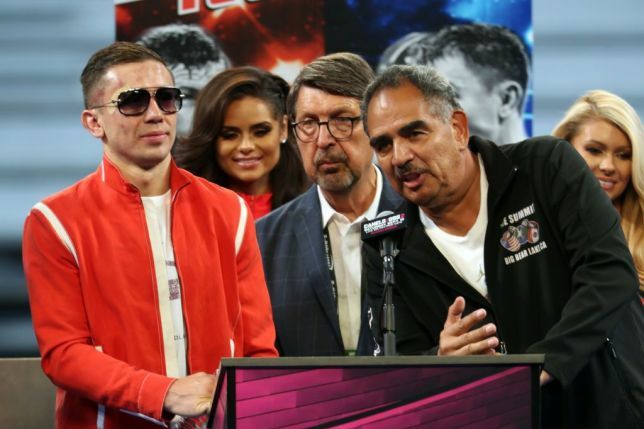 Unbeatens Frankie "Pitbull" Gomez (welterweight, 16-0), of East Los Angeles, and 2012 U.S. Olympians Joseph "Jo-Jo" Diaz Jr. (super bantamweight, 9-0), of South El Monte, Calif., and Cleveland's Terrell Gausha (super welterweight, 8-0) will appear in non-televised fights. Also, Sharif Bogere (lightweight, 23-1), of Las Vegas, will box off-TV. The first live preliminary begins at 1 p.m. PT. 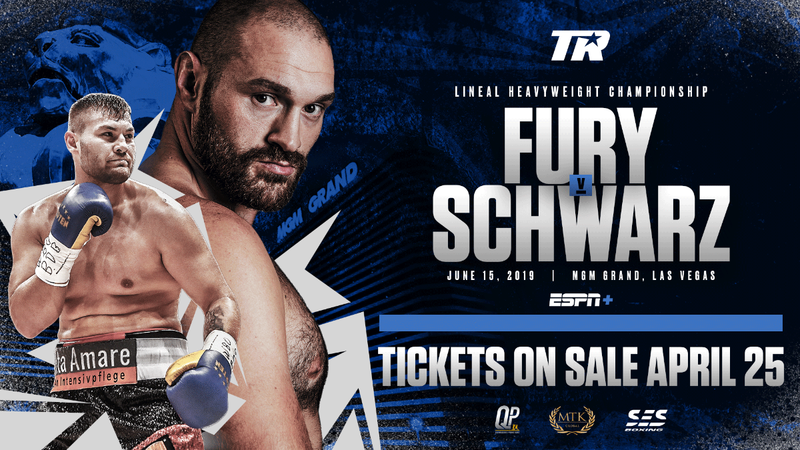 Tickets priced at $150, $75, $50 and $25, plus applicable taxes, fees and services charges, are on sale now and available online at AXS.com, by phone at 888-9-AXS-TIX (888-929-7849) and at StubHub Center Box Office (Monday through Friday from 10 a.m. PT to 6 p.m. PT). VIP Suites are available by calling 877-604-8777. For more information on group discounts or VIP packages, please call 877-234-8425. "What excites me most is being in the main event. They could have put me on other cards as a co-feature, but this shows me respect and I want to thank Golden Boy for that. "Every fighter has to take it one fight at a time, and I'm going in Saturday to do my job. 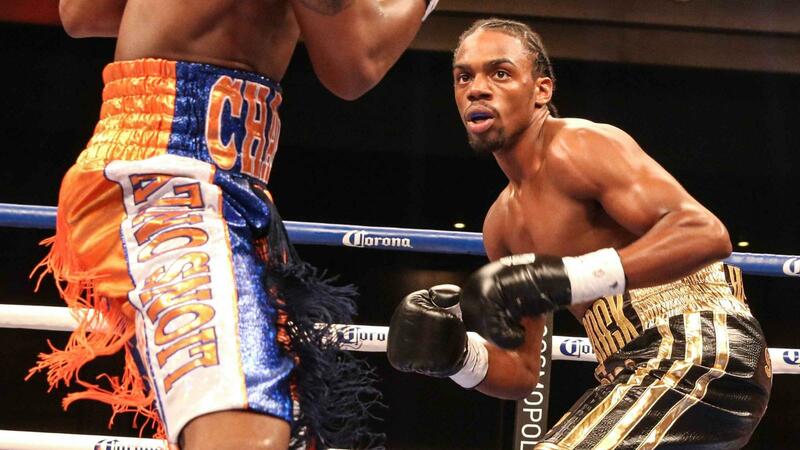 "Diaz had some great performances against Shawn Porter and he gave Amir Khan a great fight. Diaz is a former world champion. They say he's a veteran with a lot of experience. But I'm 25 and have been at this for 18 years, so I'm a veteran, too. "Winning on Saturday is obviously very important. Others in my division are already name-fighters, but I'm just starting to build mine. I'm still coming up in the world of boxing. So this is a chance for me to show that I'm not like all others. "I expect Diaz to fight his heart out. He says he plans to knock me out. I don't know if that's fight hype or his strategy, but I'll be ready. I want guys who come to fight. I want to make and be in the best fights. On my record I have an 'O' but I'm not afraid to let it go. 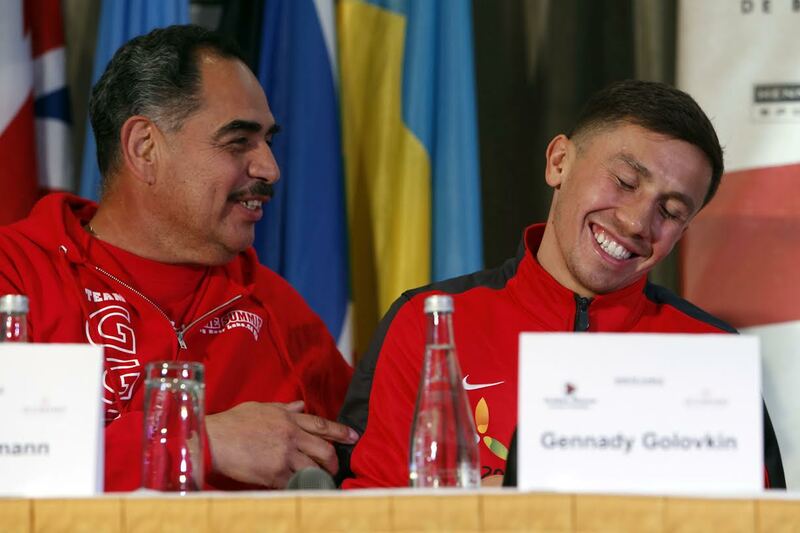 "I've known Shawn Porter and his Dad for years. I know they're calling me out. When the time is right, we'll fight. I expect to fight for maybe another 10 years. "They said I was an old man three years ago and said it was time for me to retire. Actually, I've been hearing the same thing for 15 years. They said it when I lost my title. They said it when I got knocked out. But I'm still here and Saturday I'm getting a shot at another world title. "I've always felt like a world champion, which is a reason that I'm able to come back and win fights no one thinks I can. The biggest mistake I made, I think, was staying at lightweight too long. I think I fought at 135 for 12-13 years. "They say I have no chin but since moving to 147 I haven't been dropped. I haven't even been moved. "I definitely feel I beat Porter the first time (December 2012), but they called it a draw. In the second fight he outpointed me but in both fights I know I hurt him, and I dropped him. People forget that, and look at Porter now. His status has really grown. 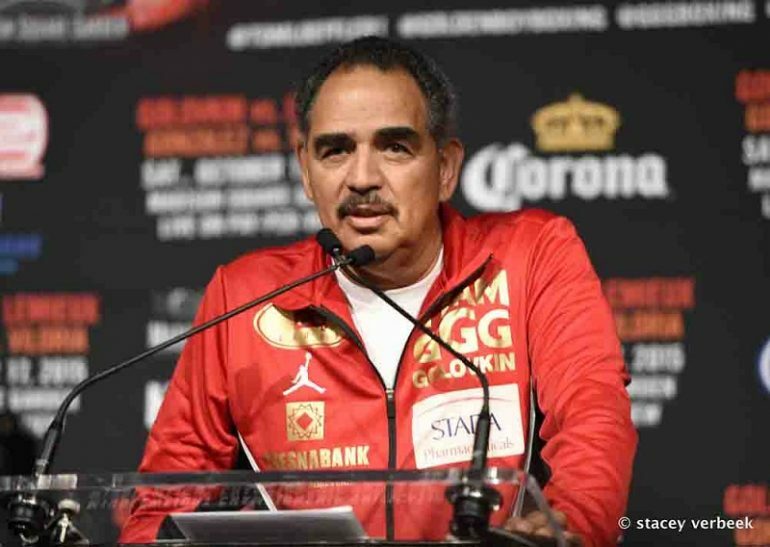 "Going against Thurman is a very dangerous opportunity for me, but one I have to take. I have to take a big risk in any fight that comes my way to get the big reward. "All fights are important but this one is especially very important for me to win so that I can get back to where I was in the division. 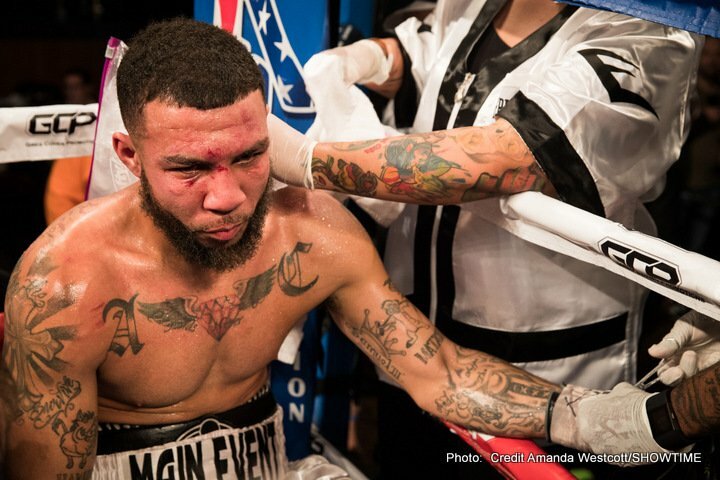 "In my last fight (a points' loss to Unified Super Lightweight Champion Danny Garcia), I thought everything was going my way until I caught an elbow in my right eye. I don't think it was a punch, but it turned the fight around. "I felt I was dominating, fighting with two eyes, but with one eye he got the momentum. It was disappointing, I thought my career was on the fast track and I gave it 100 percent, but I could not fight like I wanted. "I don't believe the defeat has derailed me too badly, but I need to win against Molina to show that I am back. "I feel like I've come full circle and I'm right where I should be. "Fighting at 140 is a gift for me. This is my second fight at junior welter but I feel better than I ever have. So moving up from 135 will not be a factor. "The bad loss to (then lightweight world champion Antonio) DeMarco was a few years ago (August 2012) but I needed that to become the pro that I am today. I now have the experience of fighting on the big stage that I didn't then. "The odds are against me each time out but I have a fighting spirit and I have a desire to win against all odds that others don't. There was never any self-doubt. "One difference between when Belmontes and I used to fight and now is that I'm a full-grown man. Now, I have the size advantage. I've sparred with the likes of Amir Khan, Tim Bradley, the late Edwin Valero and Julio Diaz. Working with them has helped me cover all my bases and now I'm a world champion. "Jerry's been talking forever about fighting me. But it hasn't just been a one-way street. I've been wanting to fight him, too, since the amateurs. Believe me, it got to the point where I would have settled just to spar a few rounds with him. I'm very vengeful when it comes to boxing. "On Saturday, I'm looking forward to shutting him up for good. To be able to do it on television and get paid for it, well, what's better than that? My goal in every fight is to punish my opponent and hurt them. "He says we fought three times in the amateurs but I say five and I beat him all five times. As far as I can tell, he still fights the same way. He comes forward, possesses no defense and likes to get hit. He's always fought like that. "Our fights were 12-13 years ago, but I remember beating him easily, basically by out-boxing and out-moving and out-working him. If he gets frustrated on Saturday, just like he always does, I know I'll have him again. "I always wanted this fight. My confidence is way up. I'm faster, quicker, and love to fight in the pocket. I'm finally listening to my corner. They brought me in as an opponent for Will Tomlinson in my last fight, but I defeated him on a decision. "I cannot tell you how excited I am about fighting. I really want to show the world and my country, Brazil, that the Yamaguchi they saw in my debut on Jan. 25 in Brazil was not me. The fight ended in a no-contest and it was very, very disappointing. It was not good for me and I felt terrible about what happened. That's why I am so looking forward to Saturday. "After winning a bronze medal and my brother a silver, we came back and were treated like heroes. My first fight was supposed to be all about me, like a coming out party. I was in the main event, an eight-rounder. The buildup was great. "I won the first three rounds, but in the fourth round my opponent spit on me. I raised my hands up in the air in front of my face, like 'what the heck was that all about.' Then the referee stepped in and my opponent spit on him too. The ref then sent us to a neutral corner. Then, he disqualified us both and the fight was ruled a no-contest. "Ever since my world title fight fell through (against Carlos Molina, due to Molina's legal issues), it's been back to square one for me. But that's part of boxing and I'm learning from it. I'm still young and this is part of my job. As bad as I wanted it, it came and went. I know I'm gonna get my world title shot sooner or later. They can't keep dodging me forever. "I've been training and I'm just excited to be fighting again, I'm hungrier than ever, feel I'm at the top of my game. I set a goal to be a world champion, and that is still my goal. But I am starting all over again. "This is by far the most experienced opponent I've faced. He has 50 fights. I expect him to come out and try to use his experience, show me some head movement, vary his attack, anything to try and get me out of my game plan. For more information, visit www.goldenboypromotions.com, www.sports.sho.com and www.homedepotcenter.com, follow on Twitter at www.twitter.com/GoldenBoyBoxing, www.twitter.com/shosports, www.twitter.com/StubHubCenter, www.twitter.com/KeithThurmanJr, www.twitter.com/JohnMolinajr135, www.twitter.com/OmarFigueroaJr and www.twitter.com/Jerry_Belmontes, follow the conversation using #ThurmanDiaz or become a fan on Facebook at www.facebook.com/GoldenBoyBoxing, www.facebook.com/SHOBoxing and www.facebook.com/StubHubCenter.